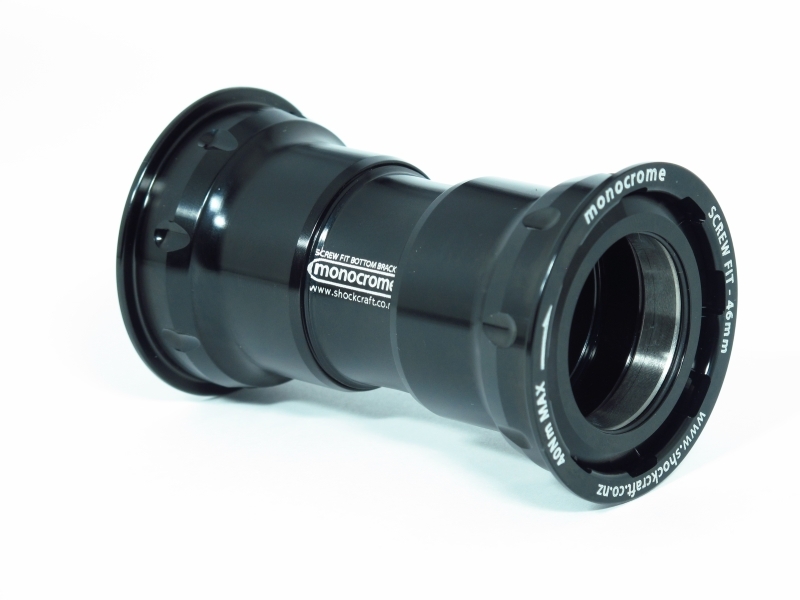 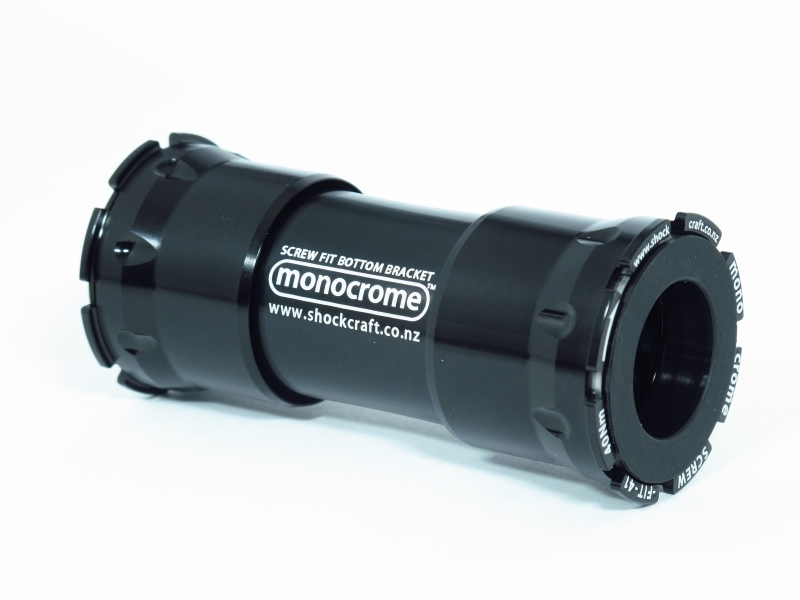 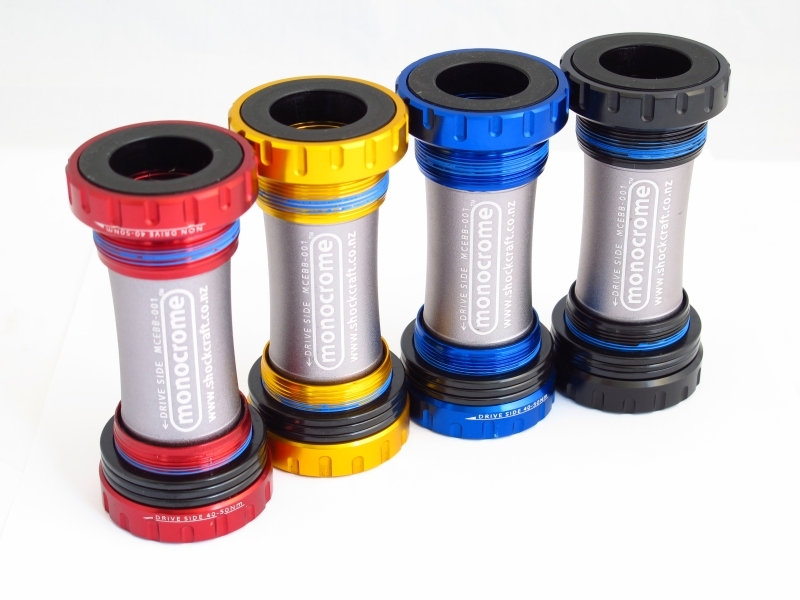 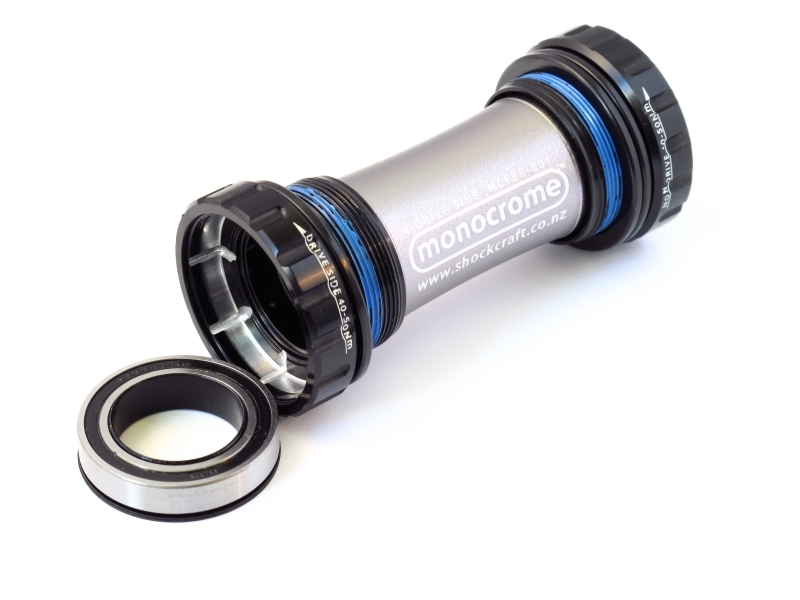 Shockcraft's own Monocrome Internal and External Bottom Brackets are serious quality, fully serviceable and available with a multitude of bearing options, colour options and CNC Storm Drains. 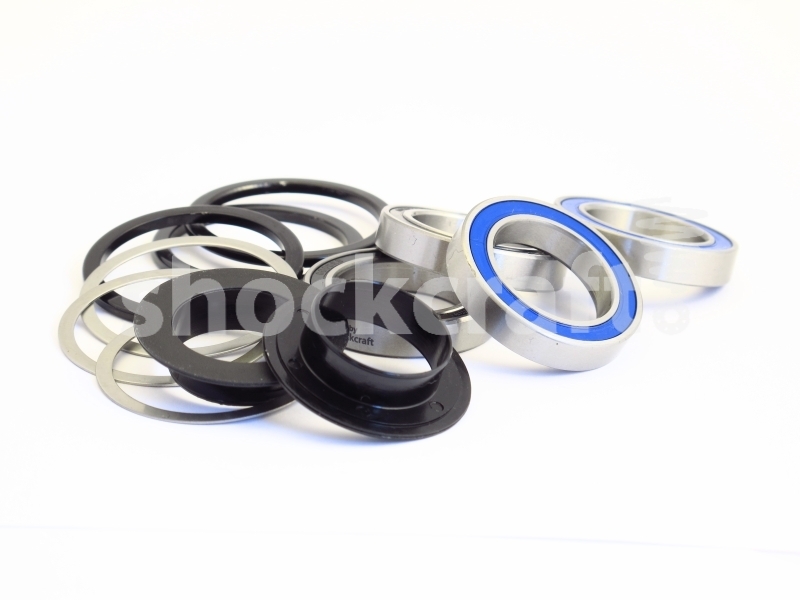 High quality CNC machined and anodised aluminium cups, spacers and centre sleeve. 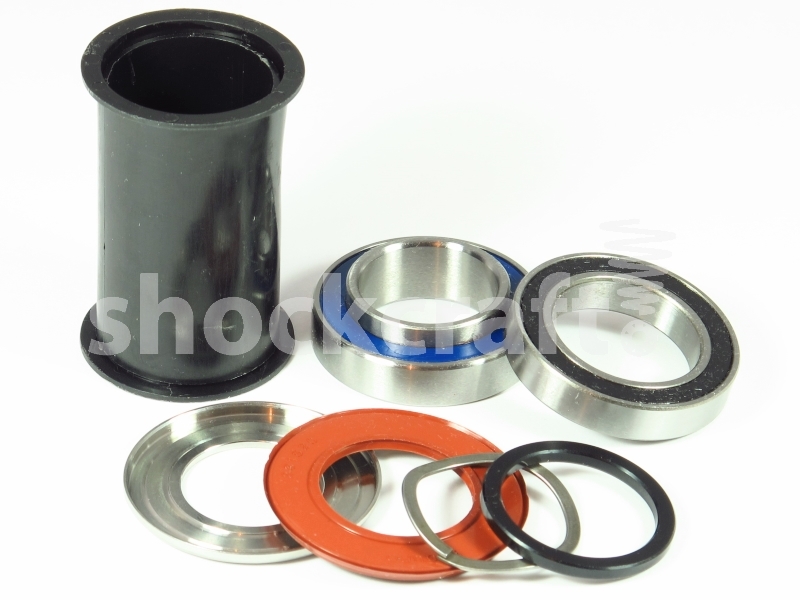 All Parts Available as Spares - spacers, bearings, cups, centre sleeves, plastic bearing sleeves.